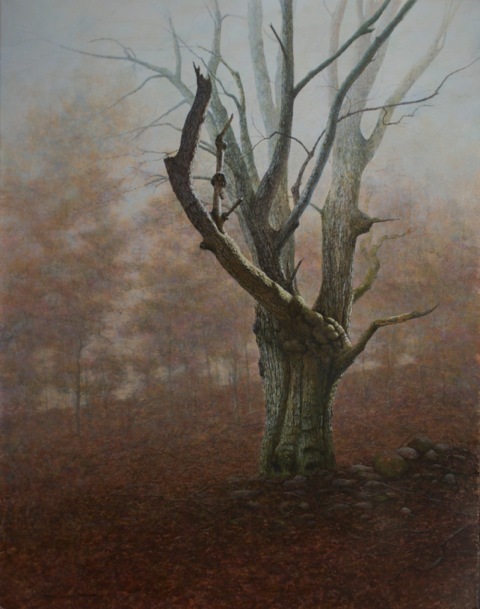 There are only a handful of professional artists working in egg tempera, and even fewer that have worked in the medium as long as Massachusetts artist Mark Meunier. Even more astounding is that Mark taught himself the medium back in 1978 when oil painting wasn’t giving him the effects he wanted. He was aiming for more realism and wanted something quicker than oils. With the almost instant drying time of egg tempera and the beauty that Andrew Wyeth captured with them, it seemed the ideal choice. 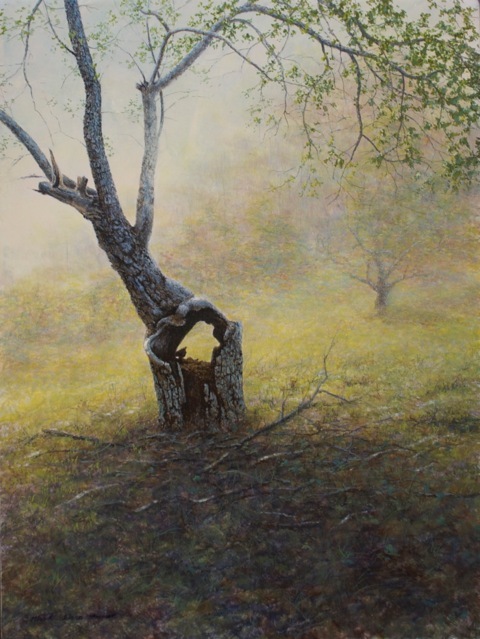 At the time, he knew of Andrew Wyeth and Robert Vickery painting in egg tempera, so he ordered Vickery’s book, New Techniques in Egg Tempera, and began his own journey. At first, Mark created his own traditional gesso with rabbit skin glue, whiting, and titanium dioxide pigment, working on masonite. He would grind each pigment down into an egg emulsion. With traditional egg tempera, each change in color within an object is actually a different hue rather than a tint or shade, quite a laborious process to grind each. He found that the paints dried quickly, too, on their own, and the panel making was tedious. However, since egg tempera needs a highly absorbent surface, there are few options to choose from for substrates. Claybord™ solved the problem. Mark explains that he did have to make a small adjustment to painting on Claybord as the surface is slightly different than rabbit skin glue gesso, but Claybord is highly absorbent, affordable and easy to work with. 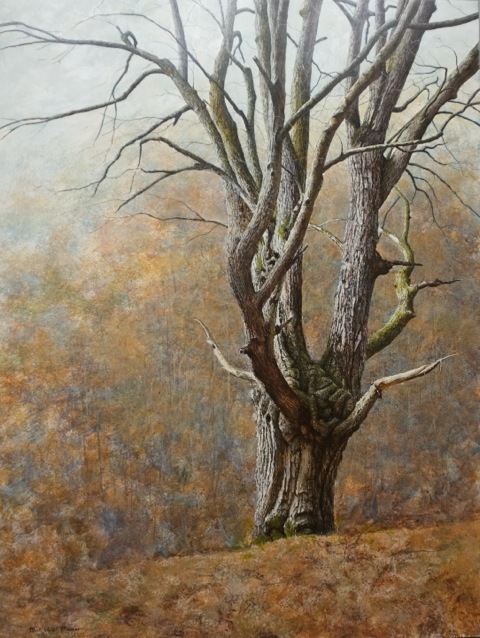 As he evolved to using the Claybord, Mark also altered how he went about using egg tempera. Instead of grinding each pigment down into the egg emulsion, he now wets his brush with the emulsion and dips the wetted out tip into a bit of pigment, mixing on his palette small puddles of paint at a time. This way, his working paints stay moist. Instead of mixing different hues for each object, Mark sticks with a palette of eight colors and works mixing those pigments to attain his colors, much like his oil painting background. With the translucent layers of egg tempera, objects form out of the two dimensional space, a concept that Mark hones constantly. 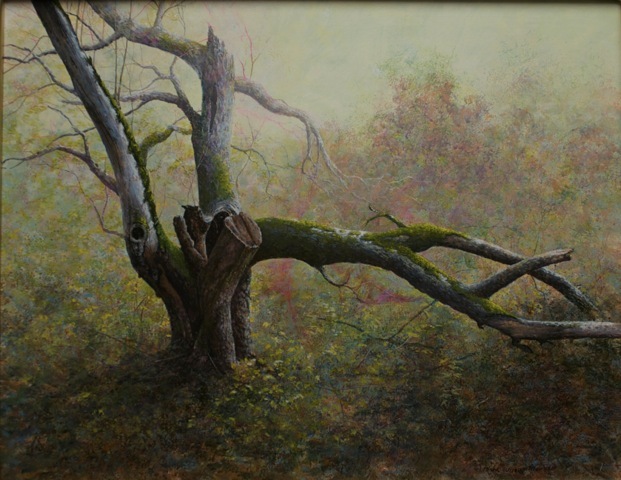 He continues his evolution as a painter by reaching his loyal audience through new subjects and ever bettering what he already knows well, taking realism a step further. Mark Meunier’s work is in several galleries with new shows opening this year. 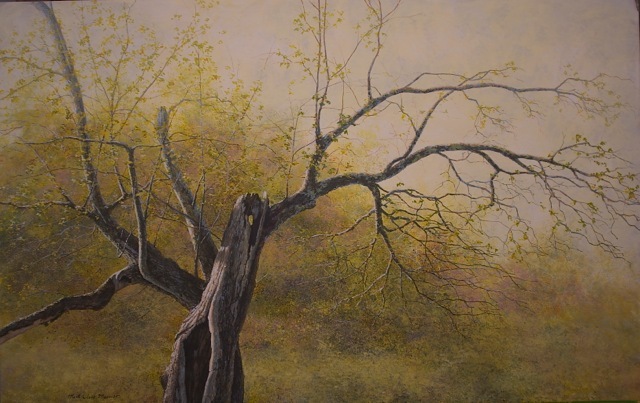 You can find his work at the Collins Galleries in Orleans, MA, at the R. Michelson Gallery in North Hampton, MA and at Tilting at Windmills Gallery in Manchester Center, Vermont with a show opening this coming May. Mark has made egg tempera an accessible medium for anyone to use. To start learning more about using Claybord with Egg Tempera, you can refer to these blog posts: Painting in Egg Tempera on Claybord & Using Egg Tempera on Claybord. Claybord is now on sale at select retailers across the country, along with Encausticbord, Hardbord, Gessobord and Artist Panel.